Happy New Year! I’m alive! I think that I have started at least 5 blog posts in the past few weeks. At some point while writing each of them, a surge of guilt set in and I abandoned the post for later in the day…which became tomorrow, then a week…then a month. As time goes on, there is more and more to write about and that has been a little intimidating. But I’m a little ahead on my study plan for today, so here I am! It’s a brand new year and I’m three exams down, with three more to go. I’ve knocked out most of the big ones (immuno, micro and patho) and have pathophysiology this coming Tuesday. If that goes well, I’ll only have the Hungarian final and internal medicine semi-final left. Will be so, so nice to get a break! This has definitely been the toughest exam period for me yet. Well, third semester exam period was definitely a contender…. I felt like death in the days leading up to the anatomy semi-final covering neuroanatomy. The difference now is that all the exams are big, require a lot of knowledge and are oral! All except for immuno at least (thankfully!). I had my exam in immuno on the 16th of December. I felt totally unprepared, as I usually do before exams, and when it was over, I felt completely hopeless about the result. For some reason, they spend days grading the tests (the results of other written exams are usually published the same day). I had to start cramming for our micro exam knowing that it might not have gone so well with immuno. We really packed in our dates this exam period, though I think most people were forced to do the same. We have 4 large exams and two “small” ones (internal medicine and our 2.5 year final in Hungarian). By Friday that week, the results for immuno were released and I was shocked to find that I had managed a 4 on the exam. It consisted of 30 multiple choice questions, 1 drawing worth 7 points, a table worth 8 points and 3 essay questions worth 5 points each. In order to pass the exam, we needed 31 points. For our final grade, they added together the points from the midterm plus however many points we managed on the final. To get a 4, I needed a minimum of 42 points on my exam – which is possible but also pretty unbelievable to think about! I wasn’t able to answer one of the essay questions, really pushed it in my answers for the other two, had some missing points in my table and was really unsure about many of the multiple choice questions. That said, I’m more than happy with the result – even if I don’t understand how it happened! 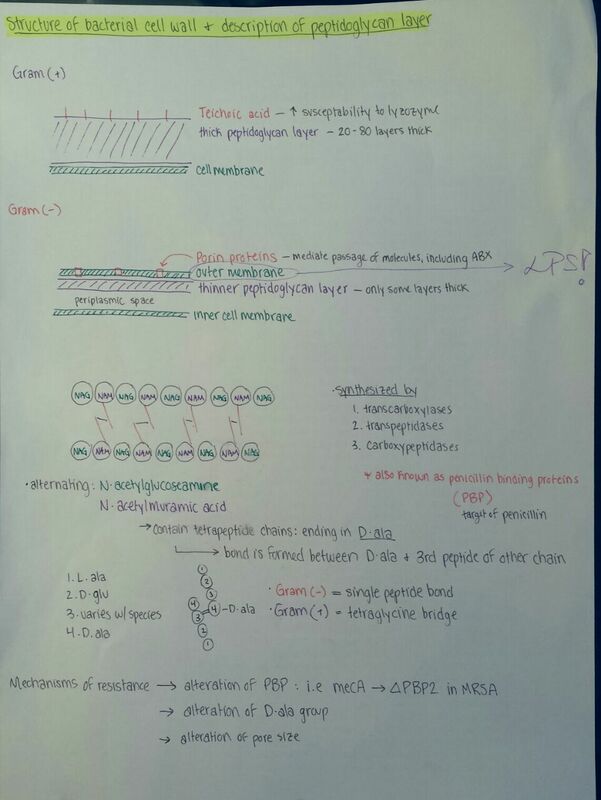 After immuno, we had only 5 days to prepare for our micro exams on the 22nd. 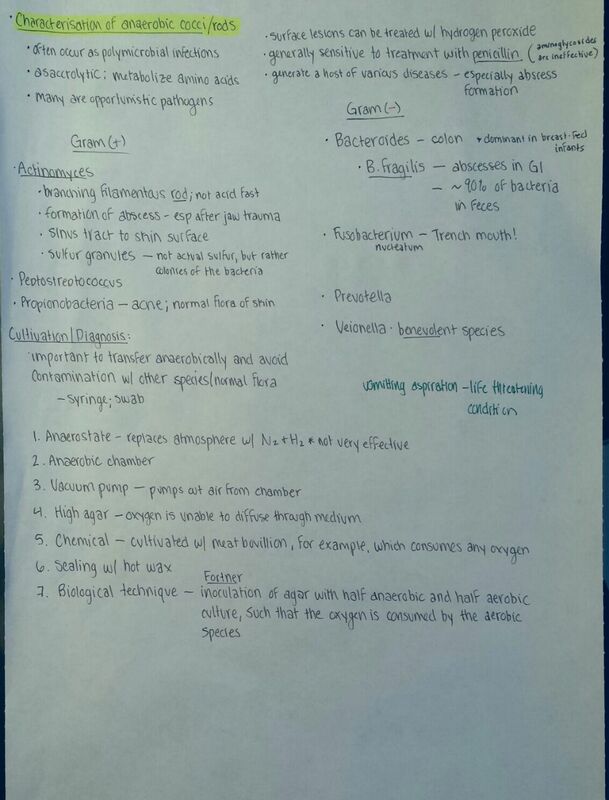 Microbiology is a huge topic and requires more memorization than you can imagine. 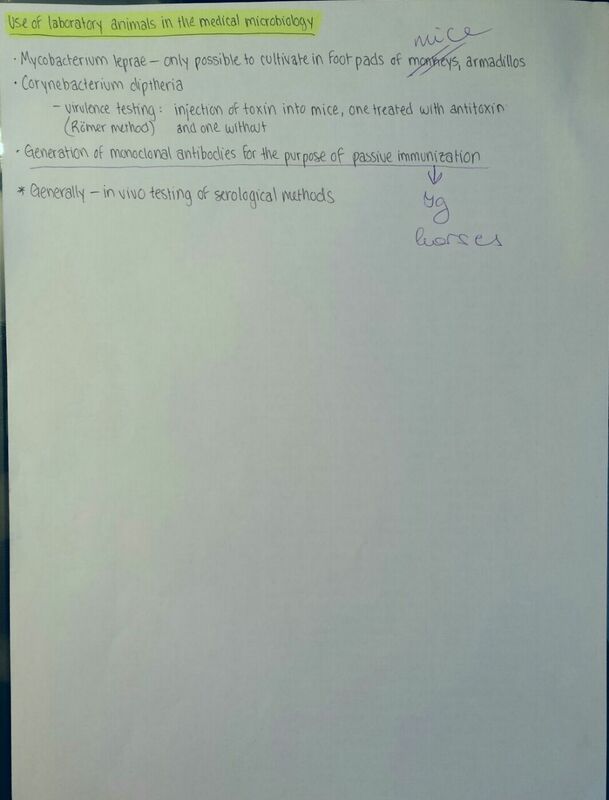 The exam consisted of 3 topics, one each from (1) General bacteriology (2) Systemic bacteriology (3) Bacterial Diagnostics. It’s hard to describe just how much knowledge is required for this exam! For the 45 or so hours before the exam, I think I only got in about 5 hours of sleep – which meant I was a totally zombie! On top of that, I had to wait a whole two hours before it was my turn to be examined. While waiting, I chit-chatted with a Hungarian girl who was also waiting for the exam. We began talking after she checked that I was in the right place (I was the only English student being examined). We normally don’t have much contact with the Hungarian students so it was a really nice experience to talk to her. I also ran into Edward, whom I met through here. He is currently in first year and was waiting to take his exam in Medical Communication. When I was called into the room, I was surprised to see that my examiner had half purple and half green hair. I later found out that this particular examiner is known for being quite difficult and let’s just say that I’m glad I didn’t know it beforehand. There are two examiners for micro, one who is the primary examiner and one who kind of follows along and helps if it is needed. The second examiner, a very sweet young woman, was the one to present the topic cards to me. Picking your topic cards is always the worst part of the exam. You know that your entire fate rests in your hands and that weighs so heavily on you in that moment. When I picked my card, my heart dropped a little. I’d gotten the card that we had been dreading getting. Even the examiner made a little comment of, “Oh…that one…” as she shook her head slightly. I smiled and laughed, even though I was panicking a little inside. About the LPS – I didn’t forget about it :p! I did forget to draw it in, but as soon as she asked me about it, I answered right away and we actually laughed…together. At the end of the exam, she spoke in Hungarian with the second examiner and said, “I think a 4 is good here, since she didn’t get the lung aspiration”. It seemed almost like the second examiner didn’t really agree that that was enough to knock me down a point, especially since she agreed that it was a tough topic and I had presented it well enough, but she just shrugged and sort of bowed her head to the side. In the end, I was just happy that it was over. I had been so, so absolutely sure that I was going to fail, that walking out of there with a good grade was just too hard to believe. I still don’t really believe it…and to be honest, I’m not very happy with my knowledge in the subject. But I’ll deal with that later! Seven days after micro – PATHOLOGY! A giant exam whose material still haunts me. My break is running over, so I won’t write much about it now. I will just say that I passed with a 3, which was perfect for me. It’s not what I wanted or what I strive for as a student, but it reflects how I feel in this moment with my knowledge in patho. I know a lot and I have put a lot of time and effort into it, but there is still a lot of progress to be made. Seven days was nowhere near enough time for me to prepare the way I would have liked and I am impressed I was able to pull off what I did considering. For New Year’s eve, we studied up until 22:00 and at 22:30 a group of friends came over for some wine and snacks. Fireworks had been going off in the park outside our apartment since darkness set in around 16:30 – and they didn’t stop until around 3:00 in the morning! Though annoying while studying, it was quite a treat to enjoy good company with some red wine and champagne while fireworks went off in the background. It was an early night, since all of us still have exams, but it was nice to escape from studying for a little while! § 2 Responses to What year is it? Thank you for the most impressive update. Hard work does pay off which leads to Success. Happy New Year and have a great 2015 ! You are currently reading What year is it? at Buda-B.